(Beijing, 29. March 2013) Ninth anniversary of the pogrom of Serbs and non-Albanians in Kosovo and Metohija (17.3.2004) was marked on the 28.3.2013. in the Embassy of the Republic of Serbia in Beijing, by the Association of Serbs in China "Serbia and friends" and the Embassy, in the presence of about 40 representatives of the Serbian diaspora and foreign guests. After the acting president of the Association "Serbia and Friends" Z. Bogdanovic and Charge Affairs a.i. of the Embassy T.P. 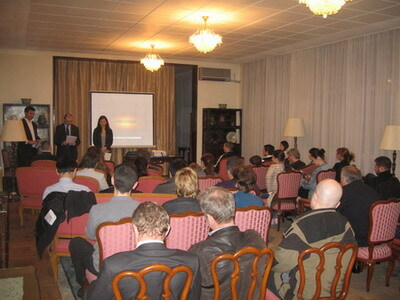 Cvetkovic addressed the guests, film regarding the 17th March pogrom "Crime without punishment" was screened.